Miyuki Round 11/0 beads are original Japanese beads. 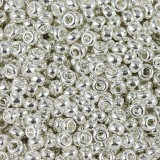 They are small, shiny glass beads with a dimension of 2.2 mm and a hole diameter of 0.8 mm. 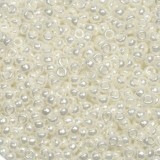 Our beads are ideal for beading. As every devotee knows, it's important that the elements used are equal. Miyuki beads will not let your users down here. It's a high quality product. 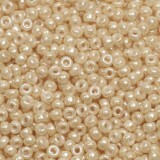 Using Miyuki beads, you can make beautiful jewelry or decorations using a needle and thread. Because they are available in a wide range of colors, you can combine them by following only your own creativity. 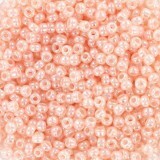 Presented product are small beads, small balls, which will be great for delicate decorations. Of course, you can combine them together with larger elements to create more complex patterns. If you want to create jewelry more elegant combine glass beads with silver semi-finished products and create interesting bracelets, earrings or necklaces. Things created by you will be unique, for example, your Miyuki bracelet will be one of a kind! 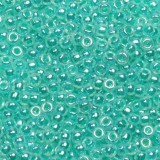 Miyuki Round 11/0 seed beads are small beads, size 2.2mm. They are great for making bracelets, handicrafts, especially using a needle or S-lon thread. They can be combined in many ways, even with semi-precious stones or semi-finished products. 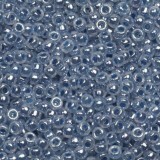 You can also use them with other glass beads.